Just like it's brothers before it, the Vapor X700 Composite Stick allows you to rip shots and skate without feeling like there is a brick in your hands. 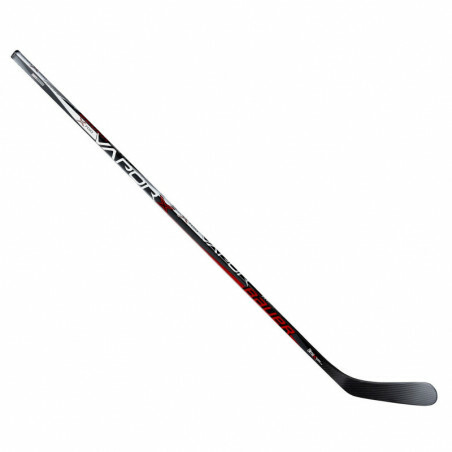 Featuring fused, two-piece technology, the X700 has a natural energy transfer from shaft to blade. The QRT Taper gives you a powerful shot as the carbon fibers become more compact toward the blade, allowing you to pulverize opposing goalies with a wicked whip of the shaft. 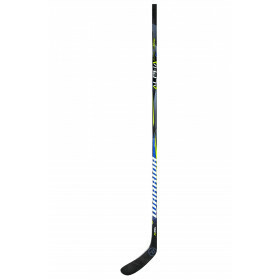 The Micro Feel II shaft dimension give you a proper feel from hand to stick. The Pure Shot blade profile and dual density blade core allow for exceptional pass reception and a great feel for the puck. A matte finish on the blade helps hide the puck from defenders, allowing you to swiftly skate to the net without worry of exposing the biscuit. True power at a moderate price with Griptac technology; does it get any better?